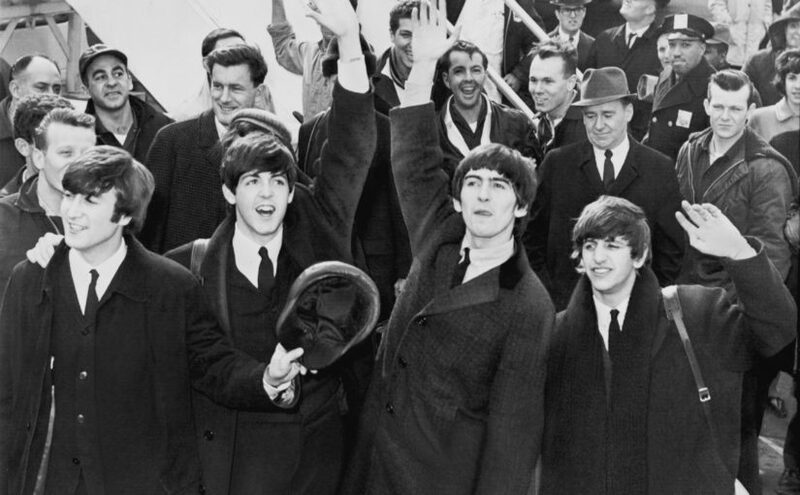 The Beatles came to America and received credit for being trendsetters in music. They weren’t. The Beatles are almost unanimously regarded as the greatest rock band of all time, according to most critics. The Beatles have had more number one hits than any other music group or musician and are accredited for basically starting the whole 60’s psychedelic and protest music movements. Not only did the Beatles not start these movements but they weren’t even the best at it. The first thing that makes the Beatles overrated is the fact that they came to America as a boy band with matching costumes. Their music was not obscenely “provocative” for the era due to Elvis “corrupting” the minds of radio listeners, so that isn’t what made them stand out. What made them stand out the most was that they were a boy band from Britain and it seems as though every female had a crush on them at the time. The Beatles continued to produce boy-bandish music up until about 1967. In 1967 the Beatles started to venture into psychedelic rock music, however, they were not pioneers. Bands such as the Doors, Grateful Dead, Cream and Velvet Underground all made the soon-to-be-popular psychedelic brand of music. The Grateful Dead released an album in 1965 called “Anthem of the Sun” which had psychedelic vibes before anything the Beatles created. Cream shares the same story with their album Fresh Cream which was released in ’66. All of these bands should be accredited with starting this movement but instead, the Beatles are. This would be like Aerosmith being accredited for revolutionizing rap music just because they were featured in a Run-D.M.C. song. Or Usher revolutionizing kids pop music with his verse in ‘Baby’ by Justin Bieber. The Beatles are also accredited for being the first band to create music that was made in the spirit of protest. To me, this is just so clearly untrue. Bob Dylan was singing about politics and injustices while the Beatles were still just a boy band singing about holding hands, yellow submarines and pecks on the cheek. All of these points make me beg to ask the question: Why are the Beatles so over credited? It’s actually a very easy answer. Since the Beatles were already famous as a boy band, once they started to mimic other people’s styles, those styles became more popular. The Beatles used their pre-existing fame, added some electric guitar to go along with lyrics not only about a girl and became so-called “pioneers” when all they really were was representatives of the true pioneers. The Beatles undeniably have had a large impact on music. Their rise to fame helped less popular bands such as the Doors, Grateful Dead and Cream become more popular due to the fact that the Beatles tried to incorporate those styles into their own music. Although you may think the Beatles are the greatest ever, just remember that they aren’t as revolutionary as you would think … and that they were a boy band.